Nothing fancy. just old-fashioned cookie goodness. 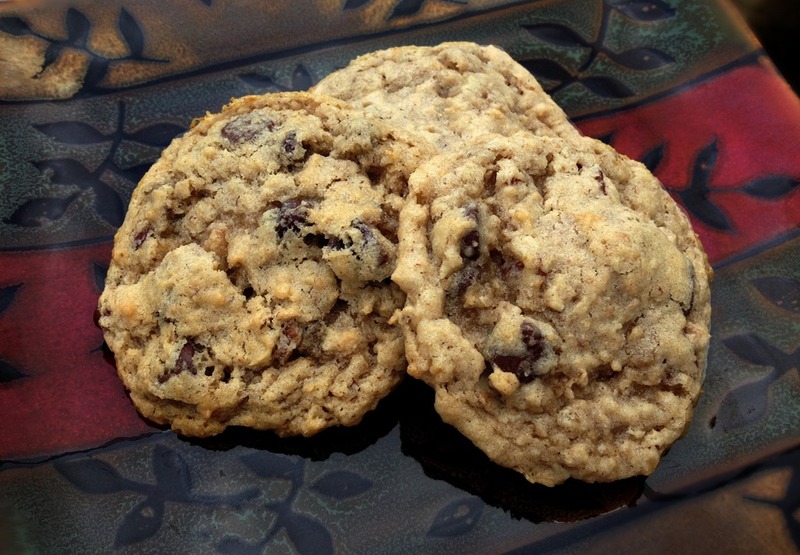 These are traditional chewy oatmeal cookies. Add raisins or chocolate chips as you like. Beat butter and sugars with a mixer until light and fluffy. Add milk, vanilla and eggs; mix well. Add flour, baking soda, salt and cinnamon. Mix. Mix in oats, chocolate chips (or raisins) and walnuts.